Please see the links we've added on the Photo Album Link page. What a fun night! Nathan Hein is the Home Run King with 5 bombs over the wall! He was taken down though in the Hot Dog Eating Contest by Tanner Benscoter who downed 8 hot dogs in no time and licked the plate! We're already planning the next event, guys. Can't wait to see you in action again. Saturday morning was a great new day and the Flyers were ready to shake off Friday's performance and play some ball. 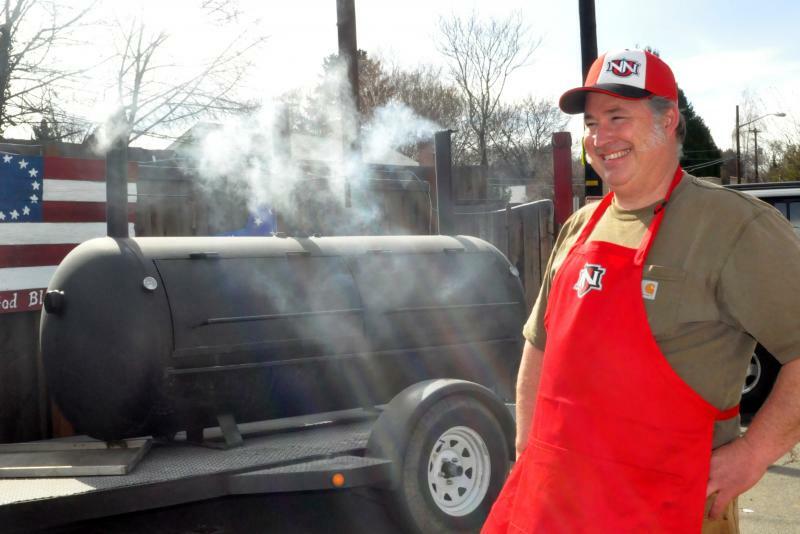 Steve Willett, owner of Autohaus and sponsor of the day, brought the BBQ train to the park filled with enough pulled pork sandwiches, hot dogs, homemade beans, cole slaw, lemonade, and watermelon for 100 people making it the biggest event of the season. The TC Atoms came to town Saturday in first place in the Tri-Cities Adult Baseball League, one of the premier 18 and up leagues in the U.S. Every year the TCABL sends a team to the National Adult Baseball Association World Series in Arizona, which they won in 2014. The Atoms got down to business right away in game one drawing a walk then hitting a single to put men on first and second then Bailey West made the defensive play all ballplayers dream about. West grabbed a line drive by Atom Ryan King at short, stepped on second base, and threw to first for the first triple play in Flyers history. West took that momentum into the bottom of the inning and got on base on an error then scored on a sacrifice fly by Nathan Hein giving the Flyers the lead. Flyers' pitcher Ari Diaz and his defense held the Atoms scoreless until the fourth inning when King was hit by a pitch then scored on a triple by Mark Noe. They scored two more runs in the fifth taking the lead. The Flyers answered with two runs of their own on a double by Chris Shogren and single by Israel Hernandez to tie the game 3-3. The Atoms added one more run in the seventh and the Flyers answered making the most of two walks and scoring Griffin Mallonee on a single by West taking the game into extra innings tied 4-4. The Flyers put runners on first and second in the 8th but couldn't push a run across. Two walks and a misplayed ball allowed the Atoms to score four unanswered runs in the ninth to win 8-4. Ari Diaz pitched 6 2/3 innings of great ball for the Flyers followed by Tanner Benscoter who pitched 2 1/3 innings of relief. The Flyers managed just three hits and left 11 runners on base for a loss of 12-1 in game two. Atoms Gordo Martinez 3-5, 2B, Paul Palocios 3-5, and Joey Cotto 1-3, 3B, led the Atoms' offense. Despite the loss, the Flyers had a great day defensively turning five double plays overall, Chris Shogren made a major league back-handed snag deep behind third base and threw to first for the out, and Israel Hernandez had a great day at first digging several balls out of the dirt. Another highlight of the day was the return of an old favorite, Nathan Hein, who played for the Flyers as a teenager for four years then returned over 10 years later with the same fire and passion catching three games in 24 hours. The Northwest flyers will take a week off for the 4th of July, resuming Wednesday, July 6th with a home run derby to wake up their bats. There will be great prizes for the players courtesy of our sponsors Joe Mann, Brian Alegria, Zack Brewer, Steve Willett, Miners Drive-In, The Pepp'rmint Stick, and the Wagner Family. They will have practice at 6PM Thursday and Friday then face the Yakima Valley Mariners again in a double-header sponsored by Brian Alegria Saturday, July 9th, beginning at 3PM. F riday night's 2-12 loss against the Yakima Valley Mariners was one of those games that a coaching staff dreads. Nearly everything the Mariners swung at dropped in for a hit and nearly everything the Flyers hit went straight into a Mariner glove. Base running miscues and fielding errors ended the Flyers chances for a comeback. Despite the rough outing, our boys never lost heart and played hard to the last out knowing days like this are just a part of baseball and God had a great day in store for them Saturday as they faced the Tri-Cities Atoms and enjoyed an amazing barbeque meal provided by our day sponsor Autohaus. 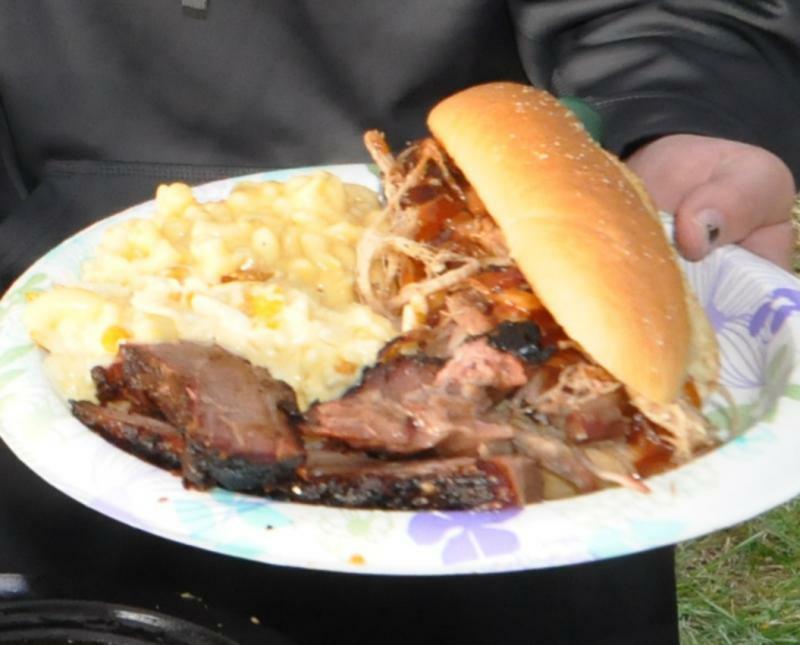 Saturday, June 25th, Steve Willett, owner of Autohaus and long time Flyers sponsor, is treating everyone at the Riverside Christian School baseball park to an amazing lunch of pulled pork sandwiches, cole slaw, baked beans, watermelon, and homemade lemonade. Come out to watch the Flyers battle the Tri-Cities Atoms at 10:30AM, grab some great BBQ, and stay for game two. Rained out. Disappointing day at the park because we didn't get to play ball, but we did get to EAT! Thanks to the Orioles for making the drive from the Tri-Cities and thanks to our players and helpers who were at the field early this morning trying to make this day happen. We've added a game to the schedule for this Friday, June 24th at 6PM, against the Yakima Mariners then we'll be back on Saturday, June 25th at 10:30AM, to take on the TCABL Atoms. The weather was perfect, the field was prepped just right, and the Northwest Flyers were ready to play ball Saturday in round robin play sponsored by Parry Jewelers against the TCABL Mariners from the Tri-Cities and the Yakima Mariners. Unfortunately, perfect conditions weren't enough to help the Flyers stop the Tri-Cities M's from taking game one 18-8. Even though the Mariners seemed to hit every pitch just out of reach, the Flyers had some highlights of their own at the plate. Anthony Allen went 2-4 with a single, a double, and four RBI, Griffin Mallonee was 1-3 with a double, and Chris Shogren had a great day going 2-4 with a single, a double off the left field wall, and he also made an outstanding diving catch in center to save a run. It looked like the Tri-Cities had run out of hits in game two as they quickly fell behind the Yakima Mariners, a seasoned team from the former Hispanic league. Yakima appeared to take over where the Tri-Cities left off in game one by seemingly dropping in hits at will and led 9-4 in the sixth inning. It wouldn't be enough, though, as the Tri-Cities M's fought their way back scoring three runs in the sixth and three in the seventh to take their second win of the day. The Flyers took game three by forfeit as the Yakima Mariners were unable to field a team for the final game of the night. See more game photos here. The Northwest Flyers will face off against the TCABL Orioles again on Saturday, June 18th, at 10:30AM for two games hoping to improve their 3-1 record. It was a HOT opening day for the Northwest Flyers as they hosted the TCABL Orioles in two exhibition games, sponsored by Ron's Coin and Collectibles. Players received packs of vintage 1990 Topps baseball cards and both teams and fans were treated to a traditional ball park hot dog lunch with all the fixin's. The 2016 Flyers welcomed eight new recruits this season putting them to the test in Saturday's 97 degree heat. Several of the new players pitched in to help the Orioles fill open slots in their roster due to scheduling conflicts making it an exciting contest as each team managed to pull out a win. Isreal Hernandez pitched a complete game in the opener earning an 11-3 win for the Flyers. Chris Shogren knocked the first hit of the season into left field and followed up with two great defensive plays in the outfield. Derek Welton came out strong going 2-4 with a triple, Cooper Mallonee went 2-4 with a double, and Moises Diaz was also 2-4. The Orioles took game two 16-3 against the Flyers' young pitching staff with the help of great plays like the one by Oriole Chris Pitzer snagging a line drive at short. See more game photos here and join us next Saturday at noon for round robin tourney play against the TCABL Mariners from the Tri-cities and the Yakima Mariners sponsored by Parry Jewelers.